September promises to be one of the hottest jazz months of the year in the Twin Cities, with visits from Eliane Elias, Mike Stern, John Raymond, the Yellow Jackets, Curtis Stiegers, Jay Clayton, Evan Christopher, Wynton Marsalis and the Jazz at Lincoln Center Orchestra, the Bad Plus with Bill Frisell and more, as well as performances from local and regional artists including Red Planet with Bill Carrothers, cellist Tomeka Reid, Arne Fogel and Maud Hixson reprising the Crosby-Clooney Story, the Twin Cities Cabaret Artists Network's Cabaret Fest, the return of Snowblind, Bottomless Pit... and bottomless talents at a growing list of venues presenting jazz. Friday, September 1. Grab your grits and beignets, pianist/vocalist Henry Butler brings his Jambalya Band to the Dakota. 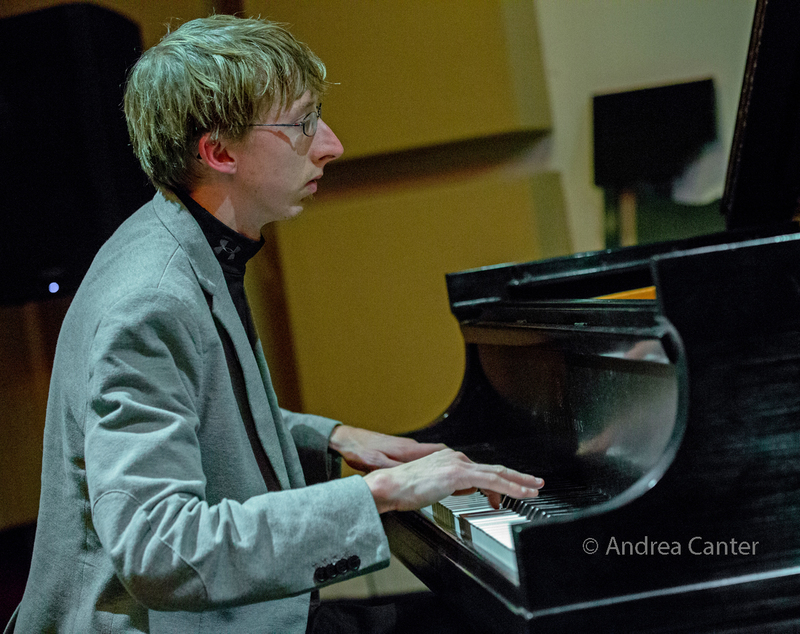 Notes All About Jazz, Butler is "arguably the greatest living proponent of the classic New Orleans piano tradition...."
At Studio Z, Steve Kenny's "All Originals" series presents the Joan Hutton Project. 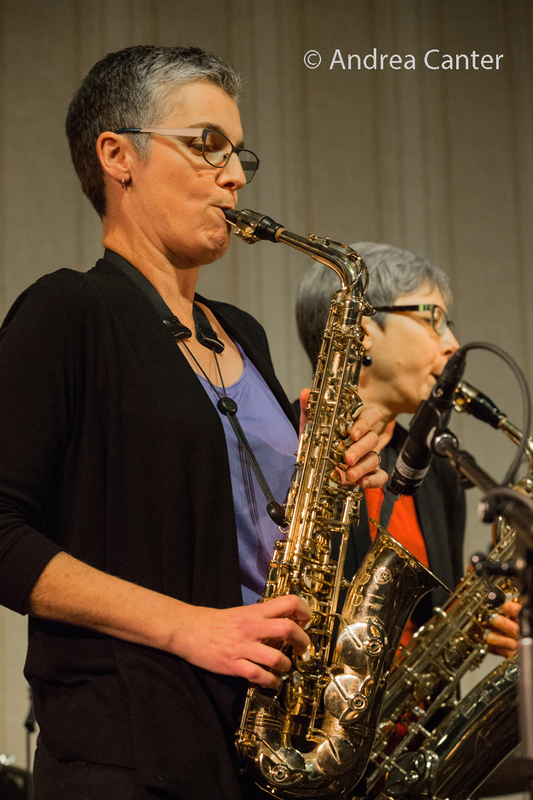 This ensemble--with leader Joan Hutton (alto and tenor sax, bass clarinet), David Milne (saxophones and flute), Joan Griffith (bass), Jesse Mueller (piano), and Jendeen Forberg (drums)--will perform original compositions from the leader as well as from other members of the band. Saturday, September 2. 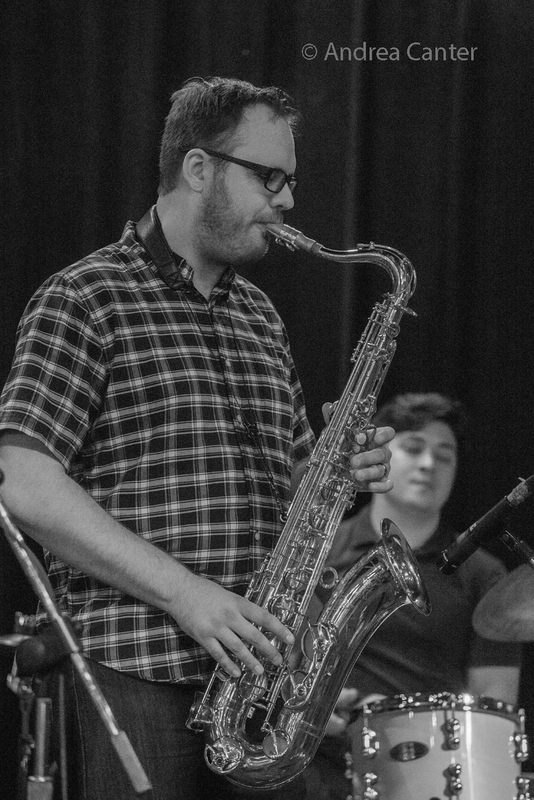 Two bands known for pushing the sonic envelope are on the schedule for Saturday Night Jazz at the Black Dog: The John Devine Quartet opens, followed by the Cartwright, King, Granowski Trio-- that's George on sax, Dave on drums, and Josh on bass. At the Dakota, it's half of Moore By Four as Ginger Commodore and Dennis Spears go voice to voice. They've always been an elegant (and fun) duo. Tuesday, September 5. Piano rules at Vieux Carre', with Steven Hobert opening the evening solo, followed by the always entertaining Travis Anderson Trio, with Steve Pikal on bass and Nathan Norman on drums. 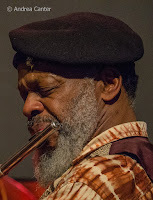 And it is First Tuesday, which means Davu Seru and Dean Magraw at the Black Dog, and the Bill Simenson Orchestra at Jazz Central. Wednesday, September 6. Steven Hobert is on the bandstand at Jazz Central with his own quartet-- Pete Whitman, Yohannes Tona, Arthur "LA" Buckner. 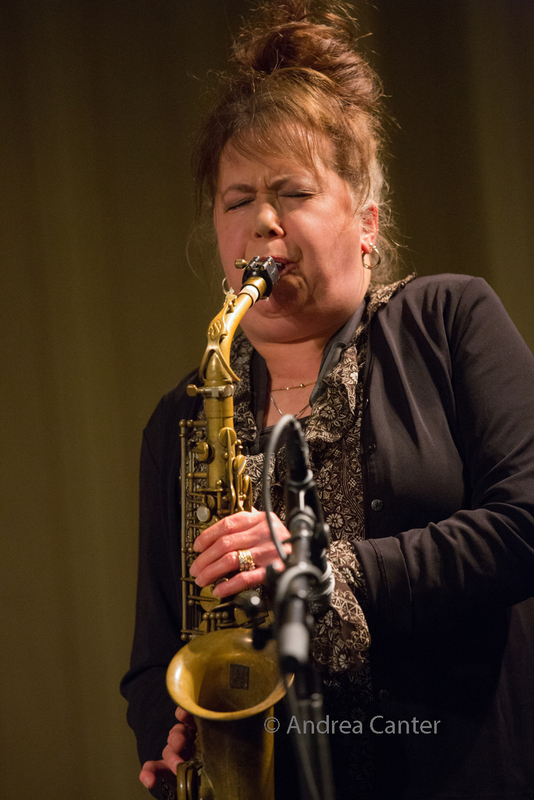 At the Minneapolis Woman's Club, first Wednesdays features Connie Evingson's "Jazz in the Lounge," tonight featuring the revered vocalist with a TBA band, usually that includes saxophonist Dave Karr. Thursday, September 7. Brazilian pianist, vocalist and composer Eliane Elias returns to the Dakota, while at Khyber Pass, the third "Pool Party" random ensemble cuts loose with Davu Seru on percussion, Benjamin Mansavage Klein on tuba, and Laura Harada on violin. Friday, September 8. 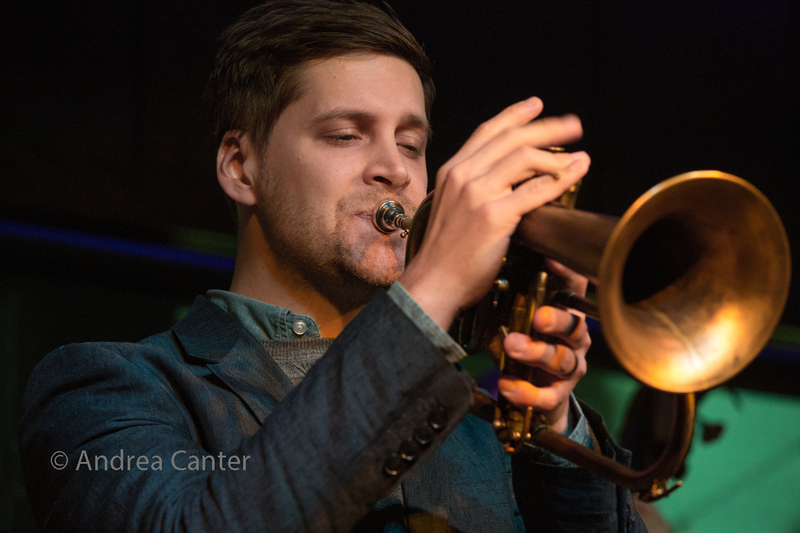 The Master's series at Jazz Central features a septet led by saxmen Joe Mayo and Dave Brattain, and featuring trumpeter Geoff Senn. At Crooners Lounge, three of the best voices in the region--Bruce Henry, Debbie Duncan and Gwen Matthews. Saturday, September 9. Our early fall weather is perfect for outdoor festivals like the Selby Ave Jazz Fest. Running 11 am -8 pm at Selby and Milton, the 15th annual event headliner is the Motor Soul Collective, an amalgam of Washington, DC, Detroit and Minnesota natives. Also on the schedule--New Sound Underground, Salsa del Soul, Selby Ave Brass Band, the Urban Legends of Jazz from Walker West.... family fun, food, and community. And it's free. Until a few years ago, Snowblind was one of the most popular brass ensembles in the metro, featuring young stars on the rise. They've been pretty silent for a while, making their headline appearance on Saturday Night Jazz at the Black Dog a welcome event. And those young stars on the rise? They have risen to the top of the local jazz food chain-- Adam Rossmiller, Scott Agster and Shilad Sen on horns, Graydon Peterson (bass) and Reid Kennedy (drums) holding it all together. At the Aster, enjoy bassist/vocalist Kate Lynch and Her Most Excellent Fellows for an evening of swinging fun. Sunday, September 10. 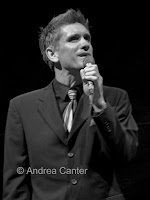 Dan Chouinard returns with The Birthday Club in the Dunsmore Room, with guest vocalist Yolande Bruce. Monday, September 11. 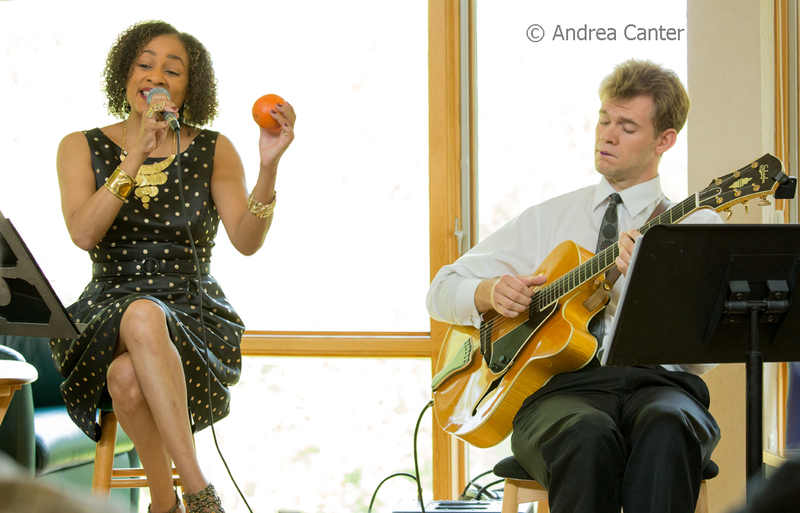 Expect nothing but pure pleasure as vocalist Charmin Michelle joins guitarist Sam Miltich in the Dunsmore Room to present the music of Billie Holiday. At the Icehouse, JT's Jazz Implosion presents two bands: Ted Godbout's Janus Ensemble featuring Ted on keys, Mitch Van Laar (tpt), Joe Mayo (sax), Cierra Hill (violin), Greg Byers (cello), and Andres Crovetti (perc); followed by Bronco Brothers featuring Anthony Cox (bass & cello), Jeremy Ylvisaker (guitars), Martin Dosh (keyboards, electronics & drums), & JT Bates (drums). Monday-Saturday, September 11-16. Jam sessions are generally held weekly on Monday nights at Jazz Central, but for this week from Monday-Saturday, Javi Santiago hosts jams every night after the featured performer. In part this is a week-long celebration of Javi's birthday (9/17) as well as a one-week version of what goes on in New York every week. Tuesday, September 12. 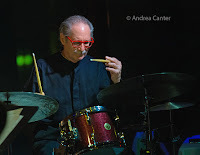 After their successful CD release last spring, Red Planet and Bill Carrothers (Dean Magraw, Chris Bates, Jay Epstein) return to the Dunsmore Room for a few more exhilarating orbits. Over at Vieux Carre', Chris Lomheim opens solo piano followed by JT Bates' Grain Trio, featuring Kevin Gastonguay on B-3. Tuesday-Wednesday, September 12-13. 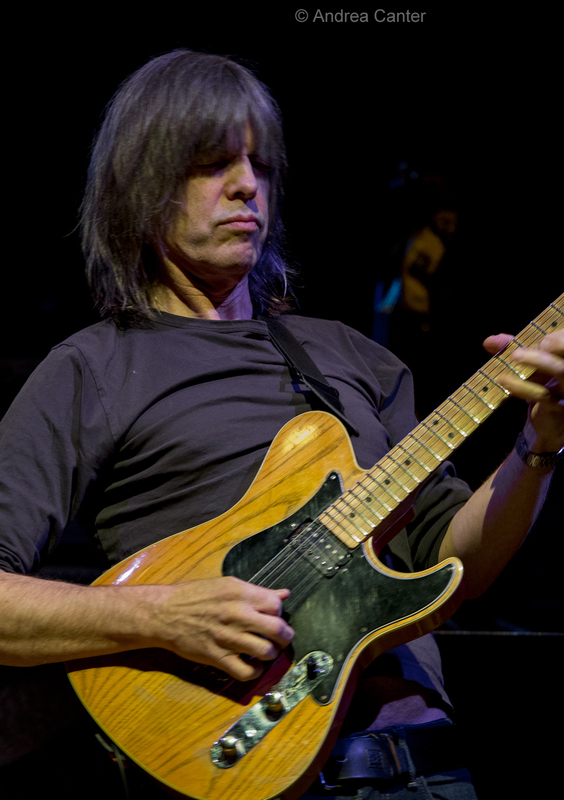 Multi-Grammy nominee, fusion guitarist Mike Stern has been affiliated with Blood, Sweat and Tears, Miles Davis, David Sanborn, Michael Brecker and more. He's back at the Dakota with a fierce quartet featuring Randy Brecker, Tom Kennedy, and Dennis Chambers. Wednesday, September 13. 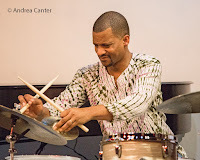 Chris Bates brings a new ensemble together for some new music at Jazz Central--the Dreamers Quartet featuring Abebi Stafford on piano, Tyler Anderson on sax, Miguel Hurtado on drums and Chris himself on bass. Thursday, September 14. Trumpeter John Raymond recently relocated from New York to Indiana University, which should mean more appearances in his home town. He's on tour with his blazing trio Real Feels (Gilad Hekselman and Colin Stranahan), stopping tonight at Vieux Carre'. Vocal Jazz Night at Jazz Central feature a new trio-- SongSister--featuring three veteran vocalists--Vicky Mountain, Dorothy Doring and Connie Dussl. Friday, September 15. Jazz is back at The Lexington, and tonight it's Peter Schimke and his trio which usually features Chris Bates and Kenny Horst. Chef Jack Riebel is making his own music in the kitchen! 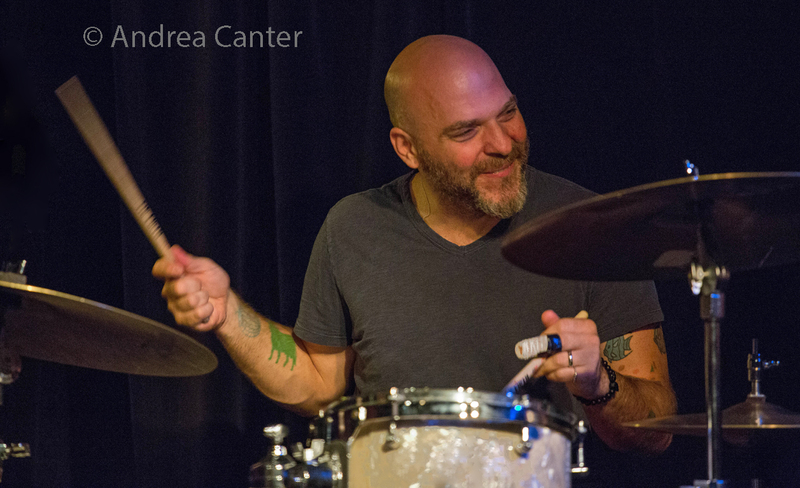 Javi Santiago caps off a week of jams with prime time music with his quartet featuring rapper Proper-T and drummer Arthur LA Buckner at Jazz Central. Saturday, September 16. Saturday Night Jazz at the Black Dog features the heavyweights of Bottomless Pit (Joel Shapira, Pete Whitman, Tom Lewis, Eric Gravatt) and an intriguing opening set from a group dubbed "Conversation with Paul Motian"-- Steve Hirsch on drums, Babatunde Lea on congas, and Matt Trice on saxophones. Dinner sets at the Icehouse feature Bryan Nichols and James Buckley. Sunday, September 17. 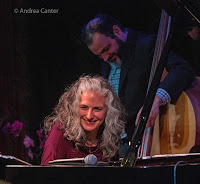 A new edition of Jazz at the Jungle, Connie Evingson is "Together Again" with old friends Sanford Moore and Dave Karr, revisiting favorites of their early albums with two shows at the Jungle Theater. Monday, September 18. Free concerts rarely feature artists of this caliber! 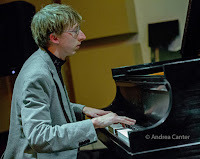 U of M faculty recital at the Lloyd Ultan Recital Hall features the Tom Ashworth Quintet-- Ashworth on trombone, euphonium and bass trumpet with Brian Grivna on saxophones, flute and clarinet; Phil Aaron on piano; Gary Raynor on bass; and Phil Hey on drums. At the Icehouse, Jazz Implosion again features two bands, starting out with JC Sanford's Triocracy with Brandon Wozniak and Bruce Thornton, followed by Andrew Broder and Dave King. Tuesday, September 19. Arne Fogel and Maud Hixson are in the Dunsmore Room tonight to reprise one of their most popular shows, "The Crosby-Clooney Story." Enjoy it again or for the first time in one of the most intimate music settings in the metro. Another well-known voice, Curtis Stigers returns to the Dakota, with our local keyboard hero Mary Louise Knutson on piano. 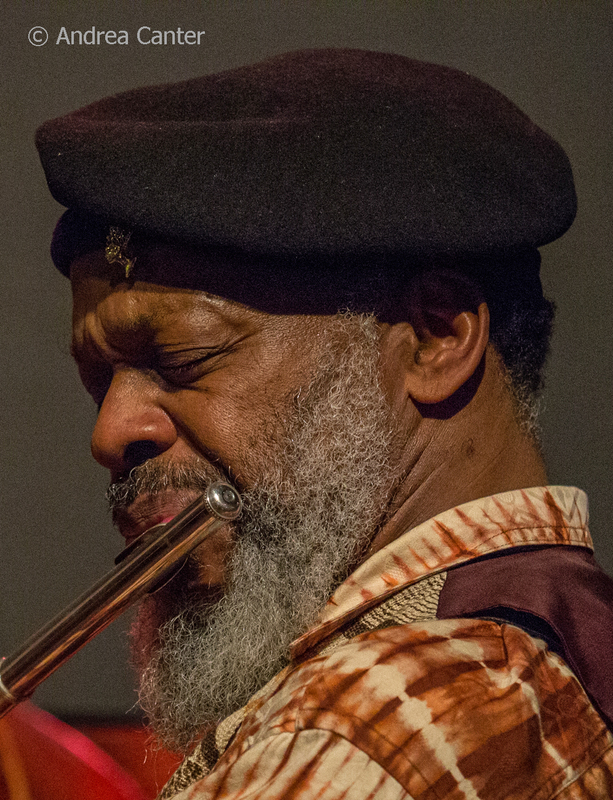 At Studio Z, Douglas Ewart pairs up with Ignaz Schick for some free explorations. 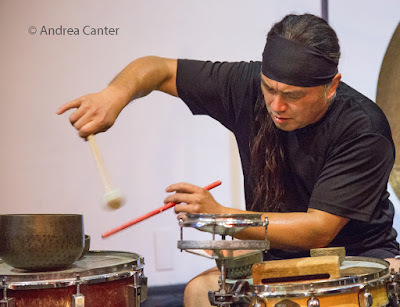 A composer, improviser, sculptor and maker of masks and instruments, Ewart is also an educator, lecturer, arts organization consultant and all around visionary. 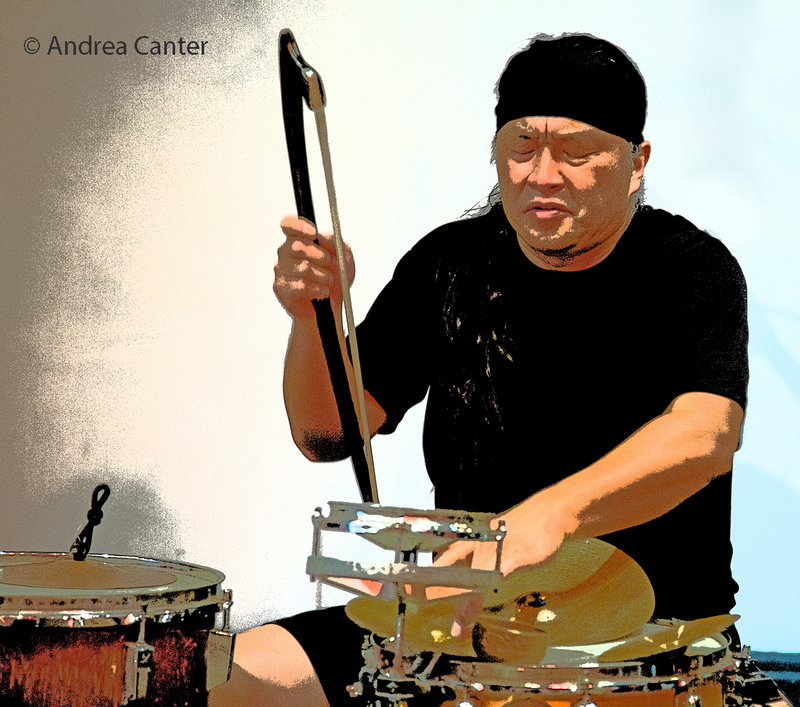 Founder of the Zarek Edition Zangi labels, Schick studied the saxophone and has performed in free jazz and avant rock bands and has been obsessed for decades with multitrack tape machines, record players and effect boxes. 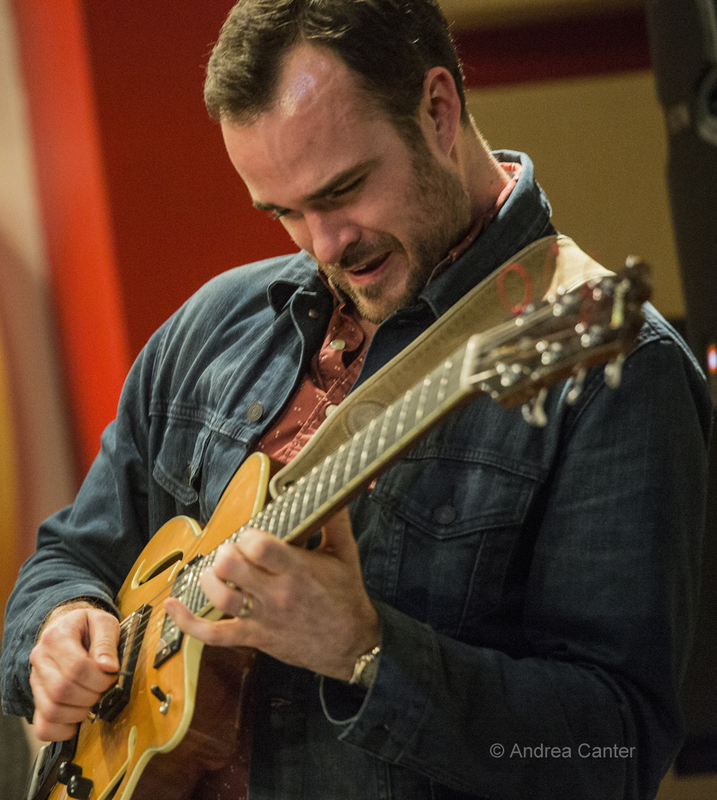 At Vieux Carre', acclaimed guitarist Matthew Stevens, who has worked with such stars as Esperanza Spalding and Christian Scott, brings his trio (Vicente Archer, Eric Doob) to town celebrating his recent release of Preverbal. Wednesday, September 20. 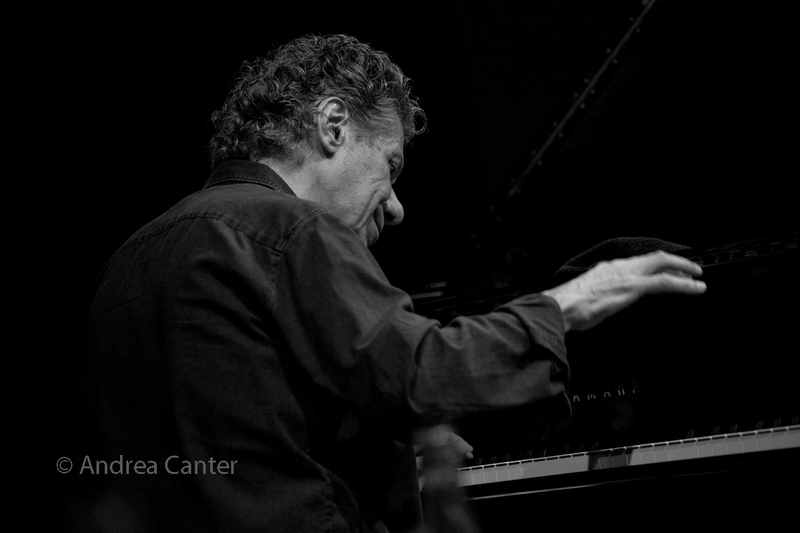 Considered a pioneer in jazz vocal innovation, Jay Clayton makes a rare appearance in the Twin Cities, in the Dunsmore Room with local favorite Phil Aaron manning the keys. Jay will be mining the gems of the "Harry Warren Songbook." Reserve early as this show will likely fill up with area vocalists. At Jazz Central, innovators from Chicago, cellist Tomeka Reid and saxophonist Nick Mazzarella perform in duo on the new music series curated by Jon Morgan. 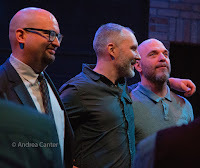 In the "it's about time" department, local bassist Ted Olsen holds his first CD release party at the Icehouse for his debut recording, Joy Fire, featuring Aaron Hedenstrom, Javi Santiago and Miguel Hurtado. Thursday, September 21. 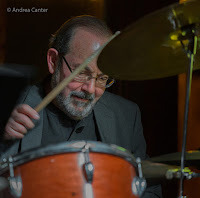 Dennis Spears reunites with the Wolverines Trio in the Dunsmore Room, while Benny Weinbeck and Gordy Johnson provide the sonics in the Williamsburg Room at The Lexington. 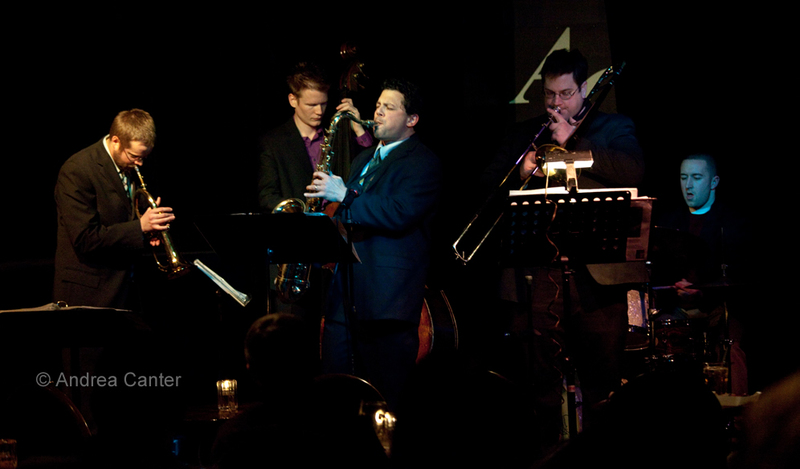 Vieux Carre' welcomes the Juli Wood Quartet, based in Chicago and recently on stage at the Black Dog. A singing saxophonist in the tradition of Cleanhead Vinson, Eddie Harris and Louis Jordan, Juli recently recorded an album of Finnish folksongs (Synkkä Metsä), honoring the heritage of her grandparents. Friday, September 22. All Originals at Studio Z presents Framework, a long standing trio featuring three stalwarts on the local jazz scene--Chris Olson on guitar, Chris Bates on bass, Jay Epstein on drums. And needless to say, they will play all originals. 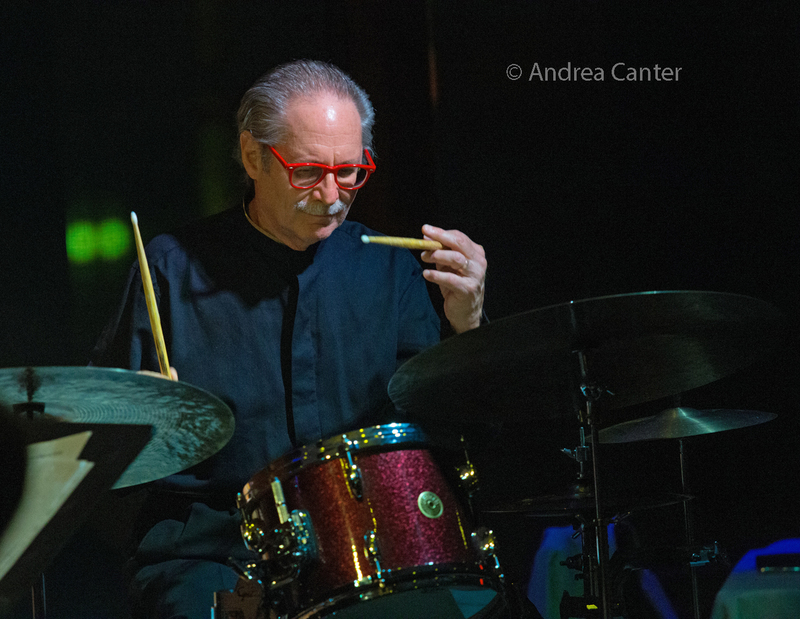 Retired from the Minnesota Orchestra, drummer Peter Kogan has forged a new career leading his jazz ensembles, including his quintet which takes the "Masters" slot tonight at Jazz Central. He's joined by a who's who of Twin Cities artists--Pete Whitman on sax, Geoff Senn on trumpet, Phil Aaron on piano, and Jeff Bailey on bass, "playing tunes from the 60s and 70s as well as some of my originals." 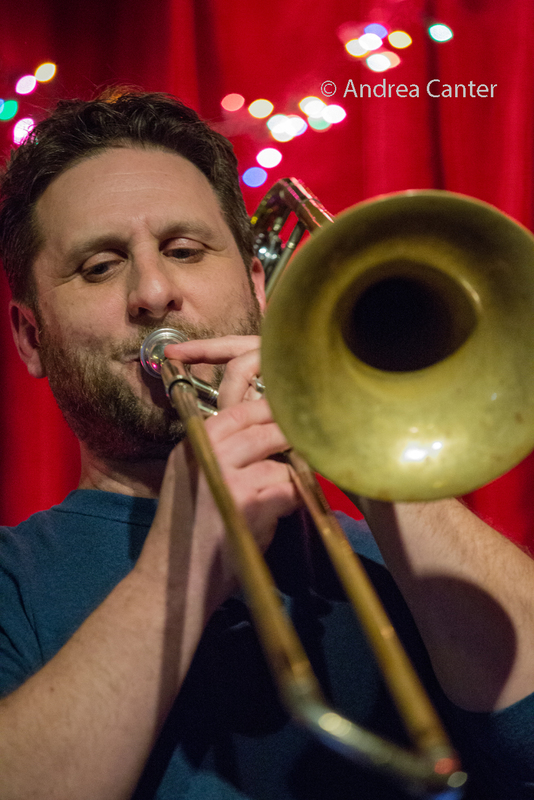 Pianist Bryan Nichols is a frequent duo partner at the Icehouse on weekends but tonight, he pairs up with Dave Graf--not too many piano-trombone duos out there, and this one has to be among the best! A rare treat! September 22-23. It's been a well-kept secret that the revived Lexington has been presenting live jazz most weekends, but the word is out! The Mary Louise Knutson Trio is in the Williamsburg Room at the Lex this weekend. The schedule of Thursday, Friday and Saturday night music is posted on the Lex website. Saturday, September 23. Jazz at St Barneys is back for another star-studded season at St Barnabas Church in Plymouth. 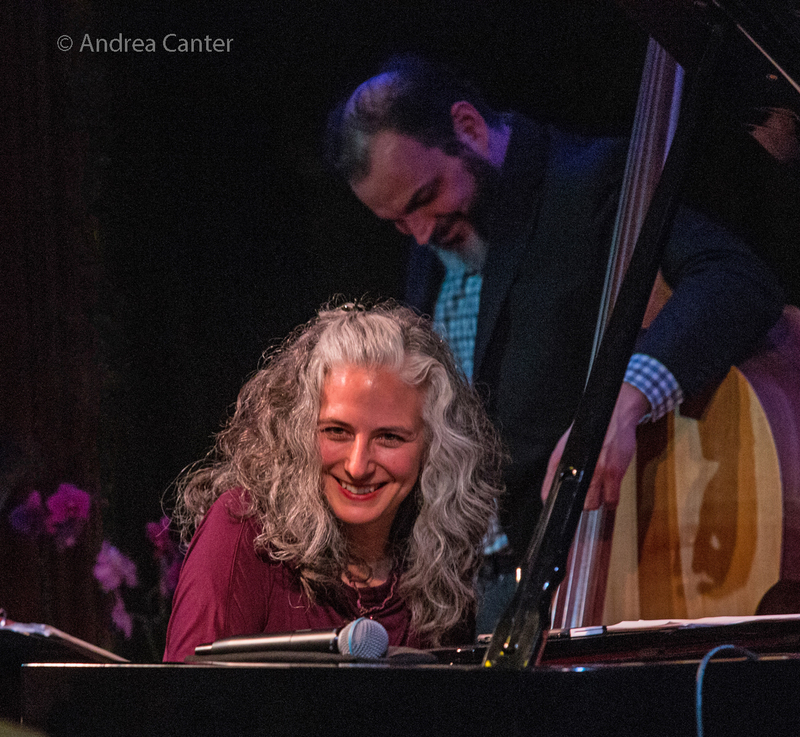 At least monthly through June, hear the best in Twin Cities jazz, like tonight when vocalist Maud Hixson and pianist Rick Carlson celebrate the music of the great Johnny Mercer! Tix at the door and snacks in the "concert hall." 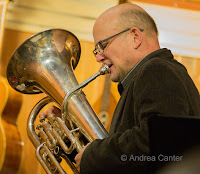 Guitarist David Roos (Illicit Sextet) goes solo for dinner sets tonight at the Icehouse. 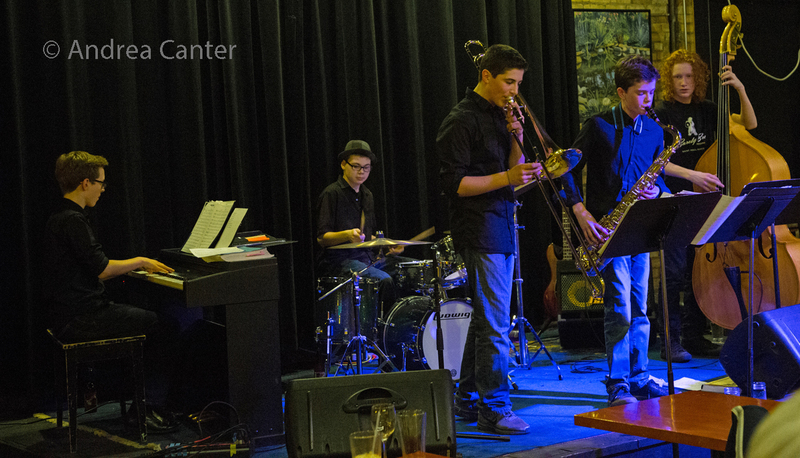 And Saturday Night Jazz at the Black Dog presents the monthly JazzINK Youth Showcase featuring the high school jazzers of Below Zero. Directed by Greg Keel, this ensemble has been together for more than two years and continues to dazzle audiences at the Black Dog, Reverie, and more area venues. In the headline slot is Central Standard Time, featuring veterans like Dave Brattain, Steve Kenny and Eric Gravatt. September 23-24. The second annual Cabaret Fest sponsored by the Twin Cities Cabaret Artists Network will take place this weekend at Bryant Lake Bowl, with workshops during the day and cabaret performances each evening. Sunday, September 24. 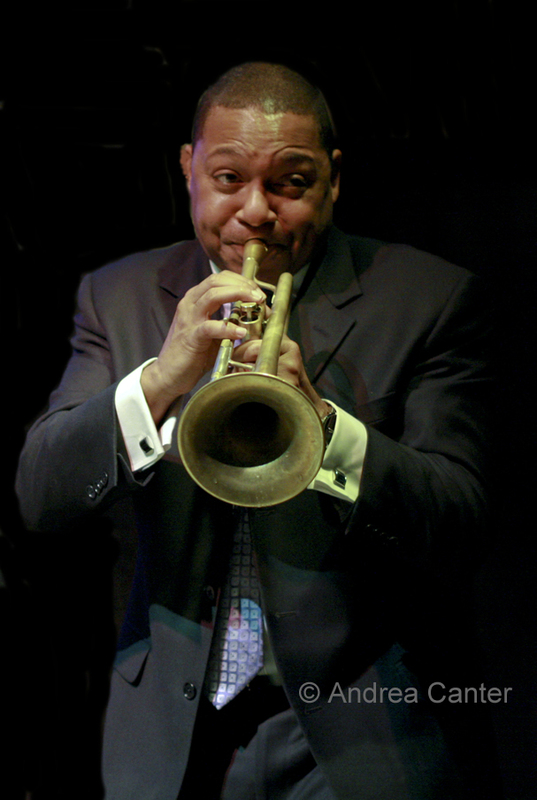 Wynton Marsalis and the Jazz at Lincoln Center Orchestra return to Orchestra Hall (co-sponsored by the Dakota). Across the north Metro, popular clarinetist and New Orleans' ambassador Evan Christopher performs in the Dunsmore Room. At the Dakota, it's a British Invasion as GoGo Penguin comes to Minneapolis. Notes their press release, "Although they're predominately an acoustic jazz trio, GoGo Penguin’s music draws from many areas of contemporary electronic music, one where you can hear arcade game bleeps, glitchy breakbeats, hypnotic Aphex-style melodies, grinding bass lines and a rumbling low-end. It has been described as 'acoustic electronica,' a term which perfectly sums up their modus operandi." With some New Orleans style heat this weekend, it's a perfect time for the NOLA sounds of clarinetist Evan Christopher, who will enage listeners in the Dunsmore Room at Crooners Lounge. Monday, September 25. "Is That All There Is" (Music of Peggy Lee) is presented at The Guthrie by local headliners The New Standards, along with renowned vocalists Catherine Russell and Nellie McKay. 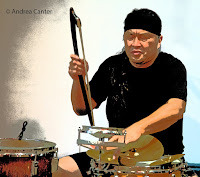 JT's Jazz Implosion at the Icehouse presents a Twin Cities favorite among fans of avant percussion, as Tatsuya Nakatani returns for a solo set followed by an interactive sound circus with Nathan Hanson, Noah Ophoven Baldwin and Chris Bates. Nakatani brings life to all sorts of percussion objects, from gongs to bowls and bows. Tuesday, September 26. Maryann Sullivan led a swinging ensemble dubbed Corner Jazz for a number of years, and recently transformed the band into Maryann and the Moneymakers, still swinging. She launches a monthly Tuesday gig at Vieux Carre' tonight. At Jazz Central, Big Band Night belongs to the Aaron Hedenstrom Orchestra. 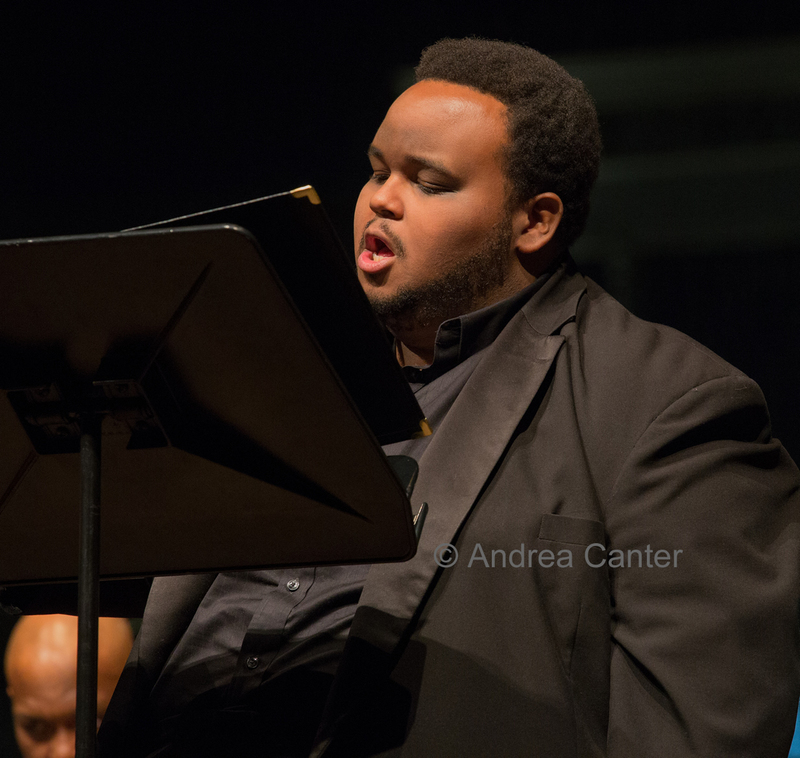 The saxophonist/composer is an award-winning writer and arranger in both combo and big band contexts. Wednesday, September 27. 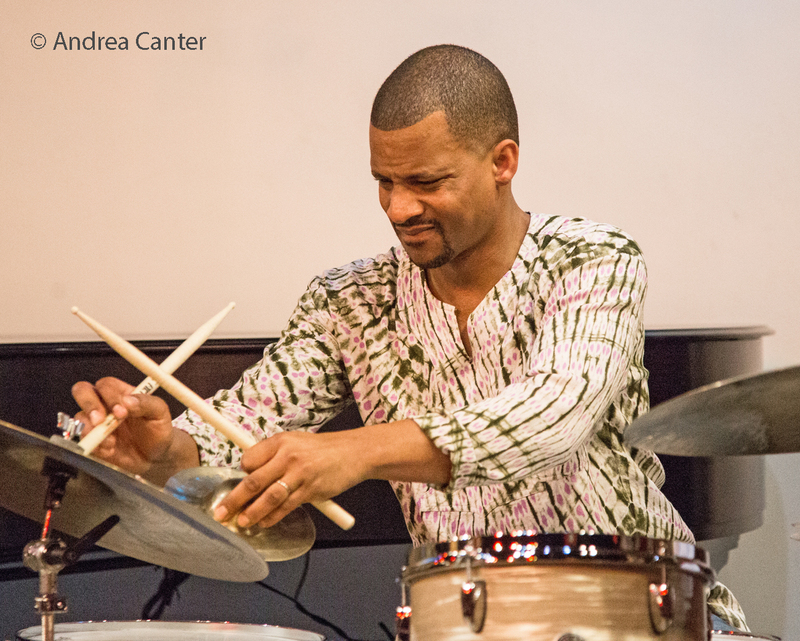 It's the monthly installment of John Keston and Cody McKinney's Sound Simulacra at Jazz Central. Special guests from Chicago tonight--saxophonist Greg Ward and guitarist Phil Schurger. Thursday, September 28. 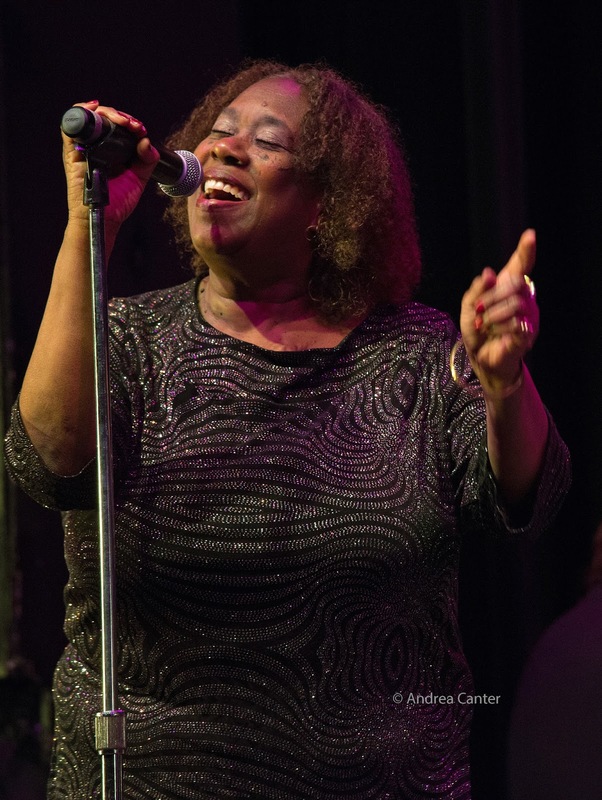 Plenty of fun will greet the Jazz Central audience for Vocal Jazz Night as Mari Harris and Bruce Henry join forces with pianist Kavyesh Kaviraj. At Khyber Pass in St Paul, multi-instrumentalist Milo Fine joins forces with bassist Sam Wildenauer and saxophonist Emerson Aagard. Friday, September 29. There was lots of buzz a few months ago when The Bad Plus announced there would be a personnel change after more than 15 years--pianist Ethan Iverson would be leaving at the end of 2017, to be replaced by Orrin Evans. But before the transition, TBP will perform twice in the Twin Cities--their annual holiday show in late December, and this evening's special gig with guitarist Bill Frisell in the McGuire Theater at Walker Art Center, part of the Walker's always stunning Performance Series. 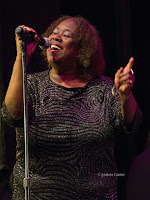 Crooners Lounge welcomes back a crowd favorite, vocalist Debbie Duncan. It's party time when Debbie hits the stage! Saturday, September 30. Not usually on the jazz radar, classical singer Maria Jette has been hosting a Saturday Salon series in the Dunsmore Room at Crooner's for the past year or so. Today, she presents "Sinatra and American Art Song" featuring Tesfa Wondemagegnehu (tenor) with Clara Osowski (mezzo-soprano) and Jeremy Walker (piano, composer). Enjoy an afternoon of songbook standards, Walker originals, and melodies made famous by Frank Sinatra. A new feature at Jazz Central-- Leigh Kamman Classic Originals--launches tonight with the Larry McDonough Trio performing a set of the music of Tony Bennett and Bill Evans. Brad Bellows presents audio interviews by Leigh Kamman with Bennett and Evans. McDonough and company then play a second set of Larry's originals. Saturday Night Jazz at the Black Dog welcomes back the JC Sanford Quartet with JC on trombone, Zacc Harris on guitar, Chris Bates on bass and JT Bates on drums. Trio 280 opens--Joel Shapira, Wes Ruelle and Eron Woods. Saturday-Sunday, September 30-October 1. The Capri Legends Series presents "Bacharach: All Saxed Up," featuring vocalists Patty Peterson and Cookie Coleman, along with saxy lady Kathy Jensen. It's always a treat to hear any of these artists, but Coleman has kept a low profile lately, and Kathy J is rarely heard outside of her stints with JazzMN and New Power Generation. (Saturday evening, Sunday matinee). See the Live jazz calendar posted on the KBEM website, and see more about jazz events at jazzpolice.com --online and on facebook. The Lead Sheet is posted new every month and updated weekly, usually on Fridays.